The Poppy Road Poppy Project is for and about our community. Here we share the stories of local people, and why they have chosen to be a part of our project. If you would like to share your story then please post a message to our Facebook page or email your story to clea@poppyroadpoppyproject.org. 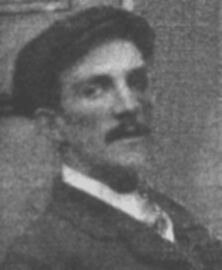 Fred Trevan was born at 1 St. James’ Gardens, Kentish Road in the registration district of St Pancras on 13th November 1885. On 5th May 1907 he married Jennie (Sarah Jane) Colbert at St. Paul’s Church, York. She was a 22 year old spinster, he was show as living at 16 Carlisle Street and was a labourer, the witnesses were Richard Colbert and Annie Colbert. They had three children who were all girls, Mary Georgina Trevan born 1908, Doris Trevan born 1910 and Gladys Maud Trevan born 13-11-1913 (my grandmother). 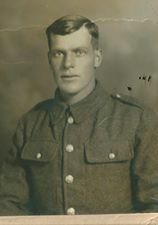 He joined up for WW1 and was Private 7905 with the 2nd Bttn. Duke of Wellington’s (West Riding) Regiment. The War Graves Commission records indicate that he died aged 29 on Wednesday 5th May 1915 and recorded him as the son of the late Frederick and Emma Trevan and husband of Sarah Jane Trevan of 70 Hope Street, York. His only known brother Thomas Henwood Trevan also died in WW1 in 1918 and is buried in modern day Iraq. His memorial is on the north gate of Baghdad War Cemetary. Fred is remembered with honour at Ypres (Menin Gate) Memorial, Ieper, West-Vlaandered, Belgium, otherwise known as Flanders, where his name is carved along with those of his comrades who died mostly in the 3 battles fought in the area to the north of the town. He died during the 2nd battle of Ypres which started in April 1915 and during which, poison gas was used for the first time. Carol’s Uncle, Ernest Harmson, and his brother, Albert, lived at 118 Poppleton Road. 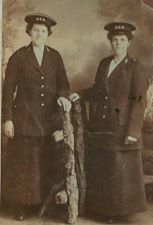 They both fought and died in the First World War. Ernest was killed on the first day of the Battle of the Somme, 1 July 1916. Carol has made her donation in their memory. 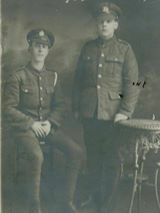 Carol has kindly shared some old family photos with us, including one of Ernest and Albert. The entire Harmson family lived at 118 Poppy Road. 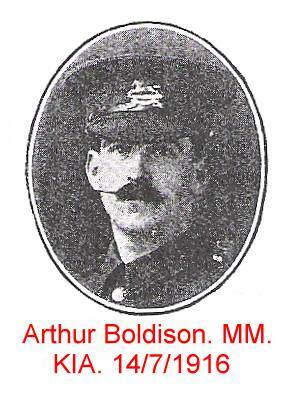 Don has donated in Memory of Arthur Boldison, Lance Sergeant 540, “A” Coy. 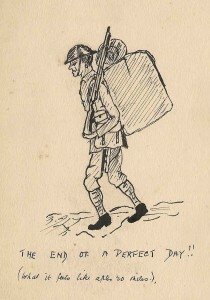 1st/5th Bn., West Yorkshire Regiment (Prince of Wales’s Own). 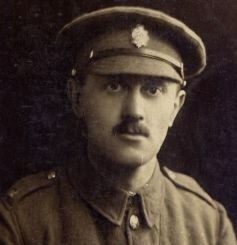 Arthur was killed in action, 14 July 1916, on the Somme. Arthur was born in York on 24 April 1892, making him only 24 years old when he died. He lived at 3, Anne Street, Bishopthorpe Road. Jane has donated on behalf of her granddaughter, Poppy Bailey; a resident of Holgate and our feature flower’s namesake. Poppy will be three years old in July 2014, just as the meadows are starting to flower. Stephen has donated in memory of his grandfather Reg Gagg, who served in the 52nd Battalion, Hampshire Regiment – initially in France and then, following the end of the war, in Turkey. He survived the war and passed away in 1970, before Stephen was born. Although his grandfather had no links to Yorkshire, Stephen is a local and lives near Grantham Drive. He became interested in the Poppy Project as a memorial to his grandfather, and because he has recently become a father; his daughter is seven months old. Stephen will watch his daughter growing up alongside the poppy and wild-flower meadows, and plans to talk to her about what they mean and why they are there. 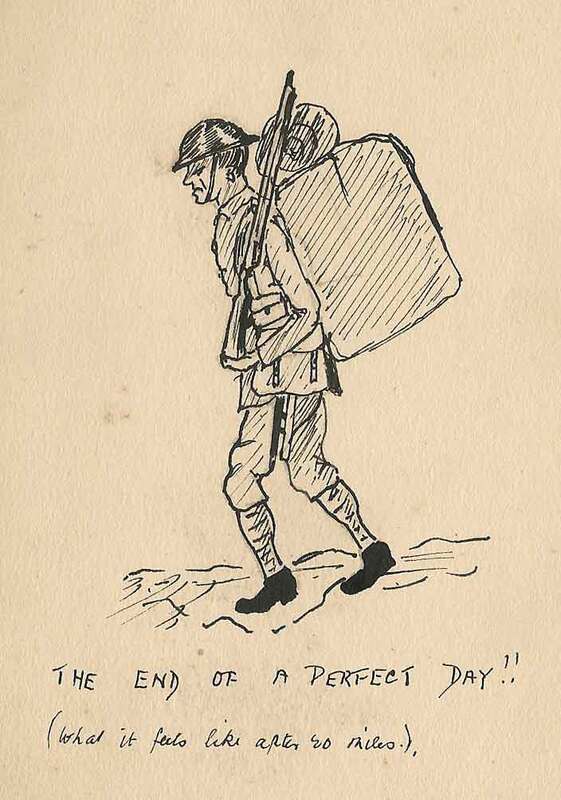 Stephen has kindly provided a photo of Reg Gagg in his uniform (probably aged about 17 or 18), and a scanned sketch he made while he was serving, illustrating how his backpack felt after 20 miles. Many thanks to Anna Cook for researching and compiling this list. The list has been taken from the St. Paul’s Church, Holgate, memorial and includes men who lived in Holgate, Holgate Hill or the Wilton Rise/Railway Terrace area. Sergeant, Service no. 195, 3rd Bn., Australian Infantry, A.I.F. Died 4th May 1917 aged 24. Son of Samuel, railway office cleaner, and Lavinia Yorke, of 26, Falconer Street. Commemorated Villers-Bretonneux Memorial, France. Awarded the Military Medal. Private, Service no. 201972, 2nd/5th Bn., West Yorkshire Regiment (Prince of Wales’s Own). Died 29th September 1917 aged 22. Grocer’s warehouseman. Son of John, railway shop labourer, and Sarah Apedaile, of 10, Railway Terrace. Buried Favreuil British Cemetery, France, ref. II.A.6. Sergeant, Service no. 11243, 1st Bn., Royal Irish Fusiliers. Died 16th August 1916 aged 24. Husband of Beatrice (who married Joseph Pyrah in 1922), of 6, Grove Square, Watson Street. Buried Essex Farm Cemetery, Belgium, ref. III.E.2. Awarded the Military Medal.